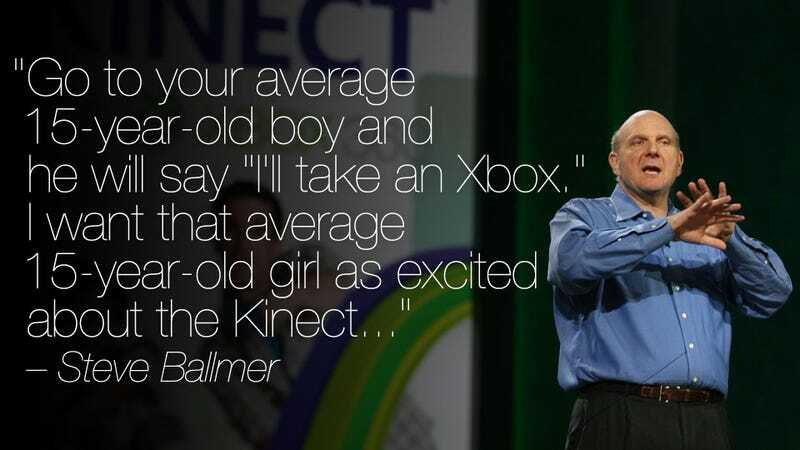 Steve Ballmer, head honcho at Microsoft, argues that Kinect for the Xbox 360 is the way to get 15-year-old girls cursing up a storm on Xbox Live in a new interview with USA Today. The animated Microsoft CEO ends that quote by saying "we haven't done as good a job drawing in that broader set of demographics," implying that the console is changing from "boys" machine to something else. Ballmer also says the Xbox 360 "isn't a gaming console," but "a family entertainment center" and "a place to socialize."